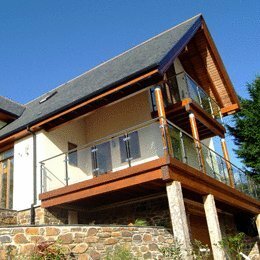 As a Chartered Architects practice based in Redruth, Cornwall, we provide a full RIBA service from inception to completion, as well as tailored services to meet the requirements and budgets of our clients. 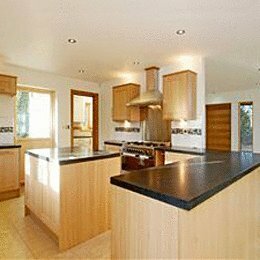 Full RIBA service from inception to completion. 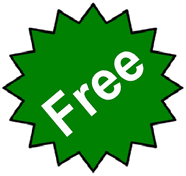 PreApplication Advice, Applications & Appeals. Our practice is based around our highly dedicated, talented and motivated staff, enabling us to provide a creative and professional service. As a forward thinking team we aim to consistently strengthen our resources and skills, and we recognise that by tailoring and adapting our skills we can offer a professional design, development and management service, with the ability to adapt to the commercial needs of our clients. 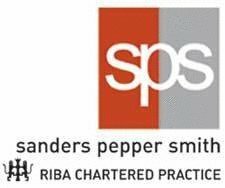 Sanders Pepper Smith undertakes a rigorous programme of Continuing Professional Development (CPD), exceeding industry obligations and standards set out in guidance provided by the Architects Registration Board (ARB) and the Royal Institute of British Architects (RIBA). Sanders Pepper Smith has been approved to the Quality Management System Standard EN ISO 9001:2000. The Quality Management System is applicable to the provision of architectural, planning and associated technical services, in addition to the management and administration of projects. 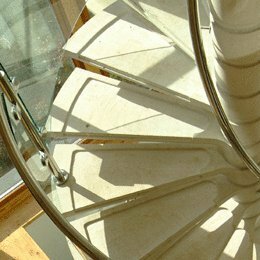 Our practice is protected by Professional Indemnity Insurance (PII) exceeding the industry standards and requirements of the Royal Institute of British Architects (RIBA). 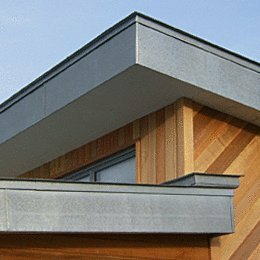 Our practice provides a comprehensive range of planning services, which compliment our provision of architecture and urban design capabilities. 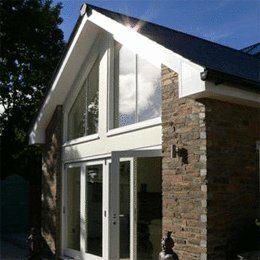 Through close working relationships with the local planning authorities we aim to offer clients a professional, creative and efficient service which, in addition to extensive pre-application consultations and knowledge of planning matters, procedures, policies and precedents, ensures projects are able to progress. 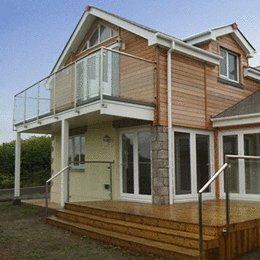 As part of our integrated design approach, the practice has the capacity to provide associated technical services and support on a range of construction issues from relevant Building Regulations, accessibility and Disability Discrimination Act (DDA), specification of construction materials, relevant assessment i.e. 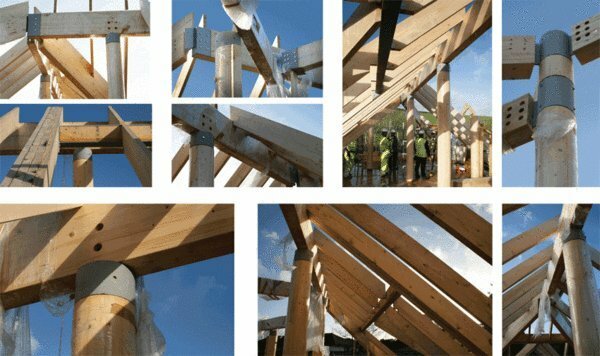 SAP, BREAAM and Code for Sustainable Homes; and Health & Safety. Our technical services allow designs to be conceived in conjunction with the relevant regulations; ensuring intelligent solutions are achieved at the outset of the creative process. Urban design is the art of place making. It has become an integral element of the design process, forming an important element of the regeneration and development of our urban areas. 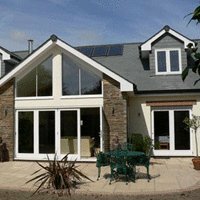 Sanders Pepper Smith can offer a seamless integration of architecture, planning and landscape to create successful and sustainable solutions. We have a creative and pragmatic analysis based response to all projects. We rigorously research all site characteristics resulting in a unique response to any challenge. With extensive experience our team has the ability and resources to undertake a diverse range of urban design commissions, to deliver environments that are truly responsive to live, work and play and offer wholly integrated solutions. In total this development at Barncoose Industrial Park offers between 5,000 and 42,000 square feet of office suites, and between 4,300 and 9,300 square feet of industrial units with offices. “The BREEAM ’Excellent’ rating will be achieved on occupation - the measure of performance of a building in relation to energy use and efficiency, health and well being and pollution - and the strikingly designed buildings are situated in a carefully conceived landscaped environment with ample car-parking provided throughout”. 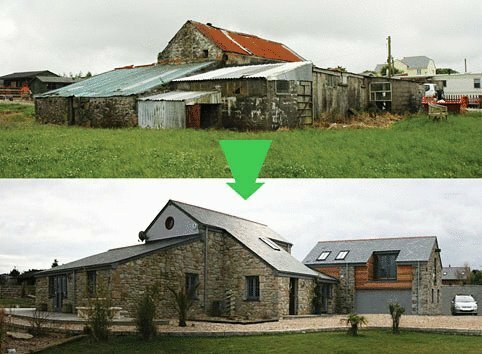 The developer has created the Barncoose Units 1 - 9 with sustainability in mind, having reclaimed a brownfield site on which to locate the development. 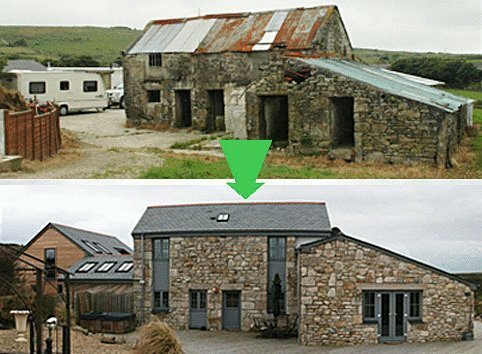 There are few opportunities to acquire such well designed state-of-the-art workspace in Cornwall. Office suites offer uncompromised flexible and spacious open plan accommodation - making maximum use of natural light - combining great design and versatile office space whilst minimizing energy use and harmful environmental impact. 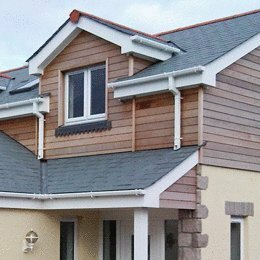 The building envelopes have been designed to be exceptionally air tight, which reduces unwanted heat loss and saves energy. The central heating system uses high-efficiency condensing boilers, operating at efficient low temperatures, reducing fuel consumption and CO2 emissions, all radiators are thermostatically controlled with heating serving individual units independently zoned. In addition, energy meters are installed so that energy consumption for different uses can be monitored by the Building Management System. 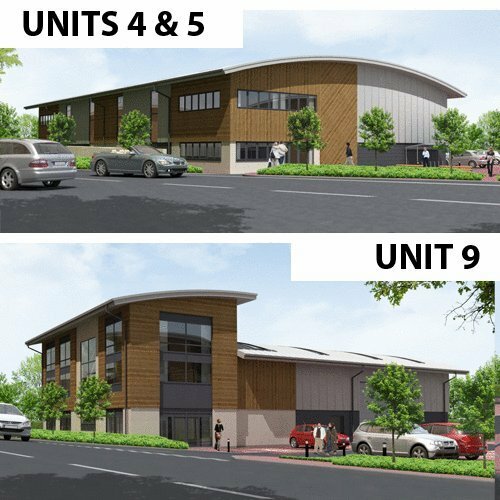 Various leading social housing and construction groups have secured spaces at the new development, and with modern light industrial facilities and storage space also available, the developers expect interest from clients involved in a wide range of market sectors. 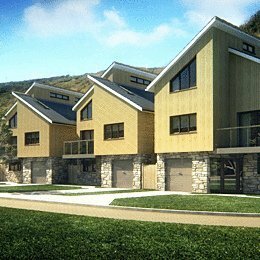 Work is currently underway on site at two new developments in Portreath, Cornwall, which are anticipated to achieve at least Level 3 of the Code for Sustainable Homes. 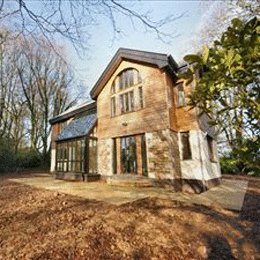 'Sunnyvale Meadow' is a select gated development of three detached properties designed by Sanders Pepper Smith, which features an emphasis on the styling and design of contemporary living spaces with exceptionally low running costs. 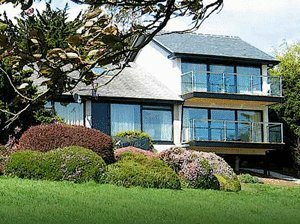 The properties are of generous proportions and are presented to a very high specification, within a setting of professionally landscaped and managed grounds - offering residents a high degree of seclusion. The development itself is well-placed within easy walking distance of one of Cornwall’s finest family beaches at Portreath - offering great surfing and bodyboarding - and yet only five minutes from the main A30 access to Cornwall and ten minutes from the local amenities of Redruth including retail, leisure centre, restaurants and a station on the main Penzance - Paddington railway line. Newquay International Airport is only 15 miles away. 'Homefield', a superb development of four 2-bed apartments and nine two-bedroom houses designed by Sanders Pepper Smith, features an emphasis on the styling and design of contemporary living spaces with exceptionally low running costs. Presented to a high specification, these homes feature an attention to detail and are set within professionally landscaped and managed grounds - offering residents a high degree of seclusion. At Homefield, the developer's passion for design, a level of care in construction techniques and an attention to detail combine to create another stylish and healthy living environment for families to live life to the full. Heading westbound on the A30 after Chiverton Cross roundabout take the slip road after four miles. On reaching the roundabout take the third exit and after half a mile turn left on to Bassett Road. At the crossroads turn right on to the B3300. Proceed for two and a half miles then turn right on to Sunnyvale Road. After one quarter mile Homefield is seen on the left. The childrens charity, Threemilestone Pre School appointed Sanders Pepper Smith RIBA Chartered Architects Practice to create their brand new pre-school building at Threemilestone, Cornwall, and - with completion by Frame UK and Arvor Construction - the new facility was officially opened on 23 April. 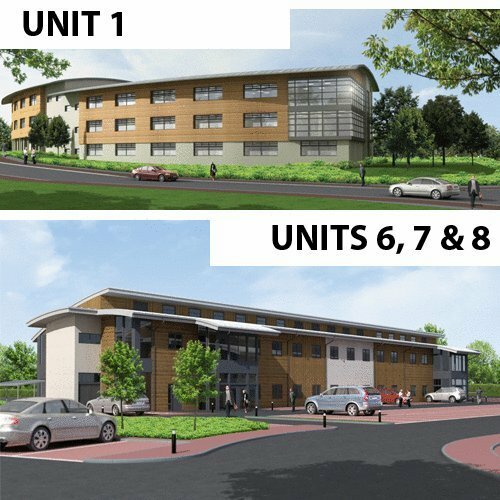 “This project designed by Sanders Pepper Smith very much fits in with Frame UK’s goal of providing ever better service and making a difference in the local community” said Rob Smith, Finance Director of Frame UK. “We know that Threemilestone Pre School has provided many local children with the opportunity to develop and grow in a warm and friendly learning environment and we’re delighted that they’ll now be able to benefit from the quality of build and finish that Frame UK and Arvor can provide”. A registered charity, Threemilestone Pre School has a staff team of fully-qualified, experienced and committed practitioners providing a safe, welcoming child-centred environment, where children can engage fruitfully with a good range of activities and resources and make good progress. Staff ensure children's individual welfare and learning needs are met well and effective partnerships with parents and carers support that endeavour.